Home Beauty Essentials Tonic Body Treatment Oil "Firming/Toning"
The go-to product for pregnant women since 1965: made from 100% pure plant extracts. 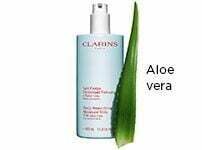 Clarins’ best selling firming body oil—with 100% pure and powerful plant extracts including Rosemary, Geranium and Mint making a healthy formula—helps firm, tone and improve elasticity, smoothing the appearance of stretch marks. Hazelnut Oil locks in moisture to leave body skin soft, satiny-smooth and elastic. Skin is prepared to face the strains of weight changes and stretching. 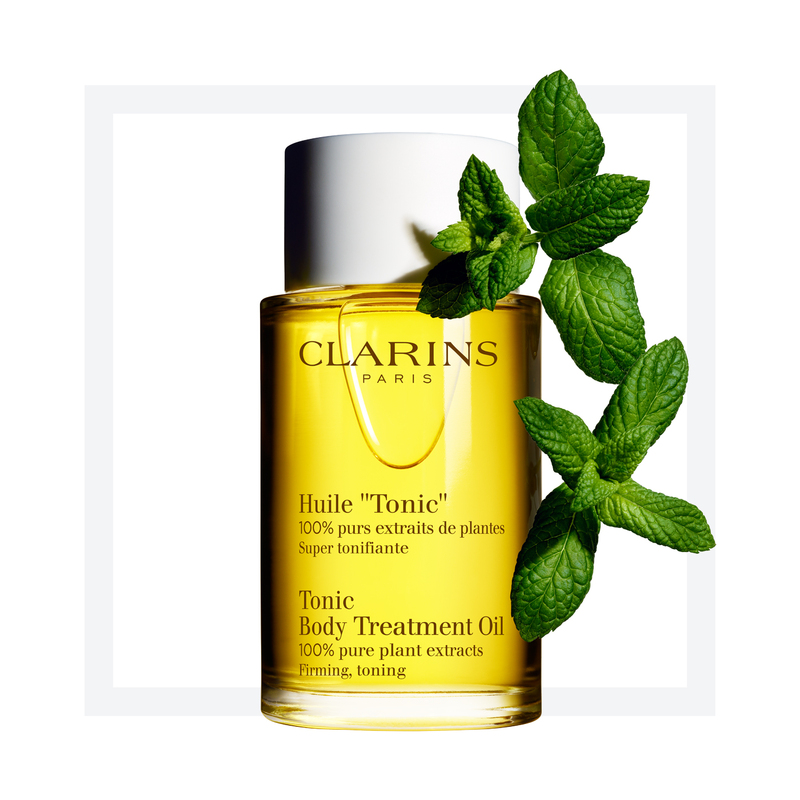 The Tonic Body Treatment Oil is effective in removing stretch marks. Aromatic natural botanicals promote an overall feeling of well-being. A blend of natural agents in one body oil, to indulge in. 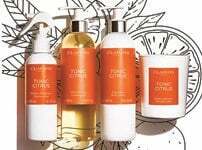 Spending some to really relax and massage your skin with Clarins body care, can help to refresh and revitalize. Especially recommended for use during pregnancy and dieting. Suitable for all skin types. retains moisture, nourishes the skin. Use on damp skin. Apply a small amount all over the body or to specific areas of concern. Massage in gently. If possible, wash with cool water after application. 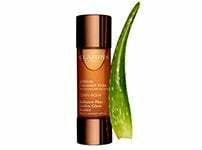 For optimal results, use a Clarins scrub once a week. Recommended for use during pregnancy. Rated 5 out of 5 by Anonymous from so relaxing!! i brought this oil on the back of a friends recommendation and i love it!! firstly, i used it as a bath oil and soaked my pregnant body in it and the smell is so relaxing and lovely! i then applied to damp skin when i got out the bath and its the best smelling oil i have tried so far! wish i found it sooner. its a lot more pricey than other brands but i would say for "me" time its totally worth it! Rated 5 out of 5 by Bruna from Best friend during pregnancy :) I used tonic Oil mixed with Moisture Rich Body Lotion since week 6 and now 3 months after giving birth NO stretch marks at all. Used it every day at night time and last month of pregnancy in the morning and evening. Amazing product! Rated 3 out of 5 by Crazynurse from Wouldn't buy I had this oil as a sample, it is fairly good in moisturising, not so sure about toning? But the scent...... not for me, smells like linament! Rated 5 out of 5 by Ttttx from Fabulous I love this product it feels and smells beautiful. Used it during both my pregnancies after hearing wonderful things about it. I went from 8.5 to 12.5 stone with one of my pregnancies without any stretch marks and believe this product was probably the reason. It’s a little pricey but with it. Rated 5 out of 5 by Maja from Great for pregnancy I love this product, I am 35 weeks pregnant and been using the oil since 12 weeks, it's amazing to the skin, the skin soaks it up, reduces itchiness, fingers crossed no stretch marks so far. The smell is divine is like my spa routine every day. 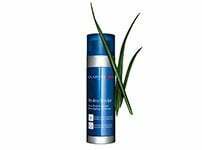 Rated 5 out of 5 by Kim liu from Working well I used two bottles of this product along with minimize stretch mark already, no stretch mark so far.